Last week a few homes came across my desk offering 4% commission for the Buyer's Agent or Transaction Broker (the co-op). One even also a 42" plasma television for both the realtor and the buyer. Neither of these properties were in Boulder, but both are in the area. The typical buyer or transaction broker's commission in our area is 2.8%, so these deals represent an additional 1.2% (plus the plasma tv). Looking at it from the seller's prospective, offering a higher co-op is (quite obviously) an attempt to get broker attention. But does it work and is it worth the additional cost? For builders, a known profit margin and potential added benefits (such as hitting sales targets or reducing carrying costs) may justify the cost but it's more difficult to say whether this strategy has tangible benefits for an individual home seller. Particularly for a seller who is currently occupying the property. Now, imagine yourself in the buyer agent's shoes. You're working with clients who have asked you to find and show them homes in a certain location that meets their needs. Will a sugary-sweet 4% offer now cause you to include a home in your show list that you wouldn't have previously? If shouldn't (if you're ethical), unless that home was in the right location and had the right features. And if that's the case, the home should have been on the show list regardless of the co-op. Now imagine this house was already on your client's show list based on price, features, and location. 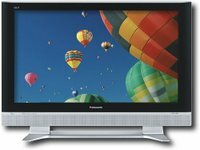 Does a plasma television add a perk? You bet! It's something that a new homebuyer might not splurge on themselves, but if it were included in the house, might add that "sizzle factor." If it's already setup in the house in a media room, even better. The buyers can envision themselves enjoying that little perk. Of course, the wise counsel is to not base your home purchasing decisions on little perks like television sets, but human nature being what it is, the sizzle factor has an effect on buyers worth considering. The 4% commission (or higher) tactic meanwhile, is an old one that is of dubious benefit for an individual home-seller. It's smarter to price your home appropriately from the beginning and offer a (nearly standard) 2.8% than to tack the additional commission into the purchase price. P.S. for your free* plasma TV, contact us. *Home purchase offering 4% co-op plus plasma television incentive required.